Julia Coburn - Centro de los Derechos del Migrante, Inc.
Julia Coburn is CDM’s Director of Operations in Mexico, and the Coordinator of the Migrant Women’s Project (Proyecto de Mujeres Migrantes or “ProMuMi”). She holds a B.A. in Latin American Studies and in Anthropology from the University of Chicago and an M.A. in Media, Peace & Conflict Studies from the United Nations-Mandated University for Peace. In 2011, she received a Fulbright scholarship to work with migrant worker women in Costa Rica’s domestic service industry. Julia first fell in love with CDM as a volunteer in Zacatecas in 2008 through the University of Chicago’s Human Rights Program. 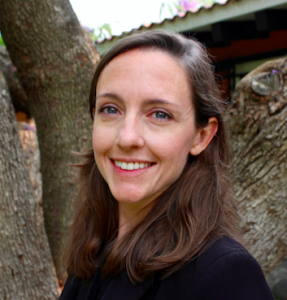 She returned to CDM as a Dr. Aizik Wolf Human Rights Fellow to research the labor recruitment industry, and has subsequently worked in CDM’s Zacatecas, Baltimore and Mexico City offices in outreach, operations, and litigation support.